While the Apostleship of the Sea has as its primary purpose the pastoral care of seafarers, the international Catholic organisation also engages itself for the rights of those who spend their lives at sea. Is Your T-Shirt Worth a Human Life? A disaster in a building of clothing factories in Bangladesh five years ago changed fashion forever, with many now insisting on ethical production and consumption, as South African fashion writer CLOUDS DRUMMOND explains. While we celebrate Human Rights Day today, it’s imperative that we don’t forget those who fought for their basic human rights to be observed. He is acknowledged as a great leader in Christian history — a global leader, a world statesman. 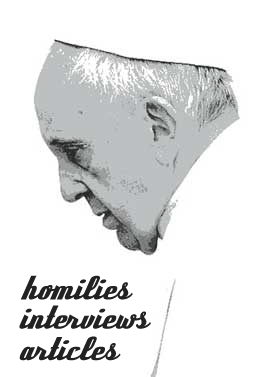 The most travelled pontiff in the history of the Catholic Church was hailed for his human rights and political activism. St John Paul II was a peacemaker. Rights and responsibilities balance one another out, but when it comes to rights and respect, which comes first? Do rights flow from respect, or do rights lead to respect, or both? Robin Hood, the legendary hero of English folklore who took from the rich to give to the poor – whose very name conjures up thoughts of fairness, justice and love for the oppressed – stands in stark contrast to President Trump who wants to take from poor and give to the rich. Imagine hearing a knock at your front door. As you open the door, to your great surprise you see a baby lying in front of you. Without hesitation, you immediately pick up the infant and bring her out of the cold night and into the warmth of your home and heart. The Justice & Peace Department of the archdiocese of Cape Town will be hosting an anti-domestic violence workshop on December 9 as part of the 16 Days of Activism campaign. The Hate Speech Bill: A Blessing or Danger? A new proposed law will make hate speech and incitement a prosecutable crime. Bishop VICTOR PHALANA sees the point of such a law — and big risks. Parliament will debate a proposed law that will make hate speech illegal. The draft of the Prevention and Combating of Hate Crimes and Hate Speech Bill still needs revision, especially in terms of conforming to the Constitution.